Just saw this on DM and felt really nostalgic. I actually think it looks better than BA's current livery. Are BA too lazy to make at least one plane in old school retro livery, or is Alex Cruz just a really boring person? 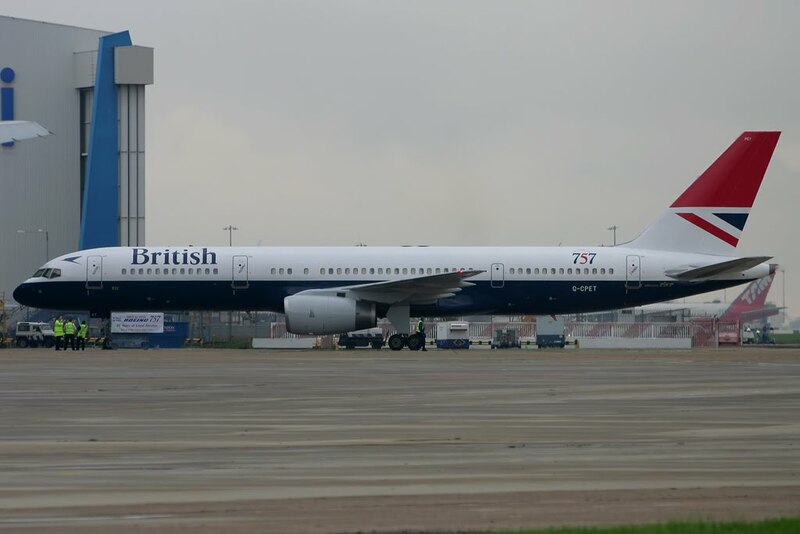 I don’t think its a matter of whether BA can or cannot do a retro livery, rather it is probable they decided not to. Well look at the lack luster job they did on the Olympic 747 plane after Rio , BA simply don't care about special paint scheames now as it does not make them any more profit .. The media would have a field day. Reminder of the times when BA was a decent airline etc etc. But to answer the question its just a cost that can be cut/avoided. justin_krusty and nancypants like this. I think a livery should remind passengers of the past, but also be relevant to the present. As such, I kindly submit the below! chris1922Mk2 and nancypants like this. So I noticed last week! I do believe though, that this was done by the paint guys in their own time... BA may have paid for the actual paint, but the work was done FoC. BA won't voluntarily do a retro jet, because they are too cheap. Forgot the "Sponsored by Ryanair"